An exciting adventure awaits at the Arabella Hotel & Spa. Situated in the heart of the Kogelberg Biosphere, close to Hermanus world-famous whale watching destinations, our hotel invites you to explore a distinctive combination of luxury and convenience. Visit us here in South Africa to discover contemporary accommodation and a wide range of five-star amenities. We showcase exquisite on-site dining options, an award winning spa, a fully equipped fitness centre, multiple swimming pools and more. 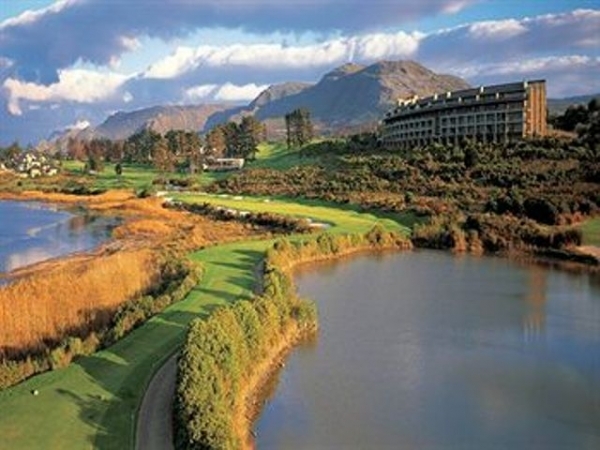 In addition, our signature golf course is ranked in the top 10 in all of South Africa. Let our hotel help you plan a magical business meeting or wedding here in Hermanus, benefit from our 12,000 square feet of impeccably appointed venue space, the latest technology and planning and catering services. Our fantastic location in Hermanus places you just an hour away from Cape Town, and near a wide selection of outdoor activities. Allow the Arabella Hotel & Spa to set a new standard for luxury.